It’s safe to say that Billie Eilish Pirate Baird O’Connell, known by her stage name Billie Eilish, is taking the music world by storm. Known for her dark and striking lyricism, hushed vocals, layered harmonies, sparse production and unique style and attitude, Eilish has been making waves in the music industry since the release of her hit single “ocean eyes” in late 2016. 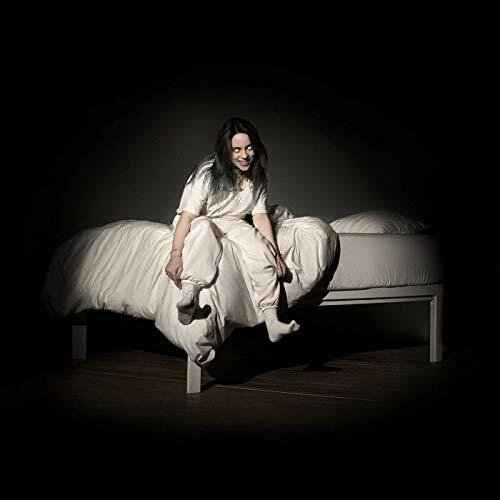 Her highly anticipated debut album, WHEN WE ALL FALL ASLEEP, WHERE DO WE GO?, released on March 29 currently has an 80/100 on Metacritic, based on 16 reviews by critics. I’ve been following Eilish since “ocean eyes,” and so I was very excited to listen to WHEN WE ALL FALL ASLEEP, WHERE DO WE GO?. However, a few tracks fall short, most notably “wish you were gay” and “8.” As a whole, the album is an impressive and bold musical statement that solidifies Eilish’s status as an artist to watch. “you should see me in a crown,” an excellent, dark and intimidating song, opens with the sound of sharpening knifes, which is a perfect example of Eilish’s willingness to experiment with her music. In “all the good girls go to hell,” Eilish defies conventions as she declares, “even God herself has enemies.” “when the party’s over,” a stand-out track, features gorgeous layered harmonies and beautiful, moving lyrics. The album begins to take a darker turn with the excellent “bury a friend,” which is is disturbing and yet completely enthralling. “i love you” is sad, moving and absolutely gorgeous. The line “The smile that you gave me / Even when you felt like dying” sums up the underlying message of the album: life is confusing, exciting and full of despair. I was particularly impressed by the clever closing track “goodbye,” which includes one line from each of the previous tracks in backwards order. One common thread running through the album is Eilish’s willingness to tackle several issues facing her generation, including drug use, peer pressure, depression and suicide. In the beautiful but concerning “listen before I go,” Eilish sings what sounds like a suicide note. Although the track is certainly well-written and produced, one wonders if Eilish is bordering on romanticizing suicide. Should we view tracks like “listen before I go” and “bury a friend,” in which Eilish sings “I wanna end me” over and over, as cries for help? Of course, Eilish doesn’t give us any answers to the significant questions she poses; she’s only 17 and still figuring things out. Eilish is a one-of-a-kind talent, and I’m very excited to see what her bright future holds. Overall, the genre-bending WHEN WE ALL FALL ASLEEP, WHERE DO WE GO? is a success that balances fun, silliness, darkness and thoughtfulness. Eilish and her brother Finneas O’Connell, known mononymously as Finneas, who co-wrote and produced the album, should be commended for a job well done.